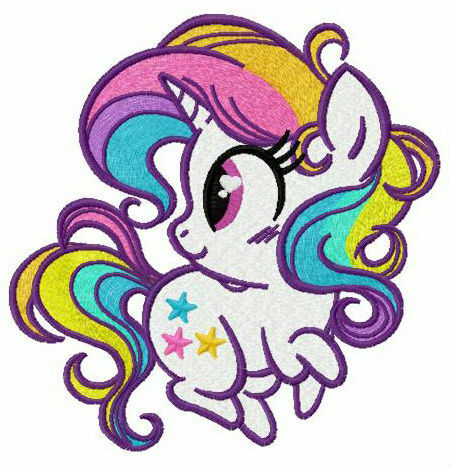 Check out this adorable unicorn from our amazing horses & unicorns collection! 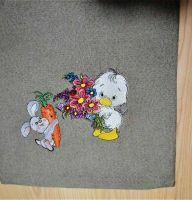 The colorful embroidery design is so easy to stitch out! An eye-catching mix of hot pink, periwinkle, lemon, mulberry and iris make a gorgeous palette reminiscent of a rainbow. While the unicorn baby is a fantastic creature, it’s looking very sweet and friendly – your kids will love it! 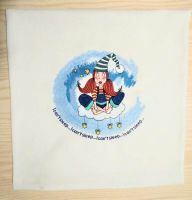 You can use this needlework to creatively enhance their favorite stuff, for example T-shirts, hoodies, sweaters, bags, pajamas, towels, blankets, quilts, cushions and anything in between. The application works with all fabrics. Embroidered the rainbow horse for my little niece. Love the way it stitched on my embroidery machine. 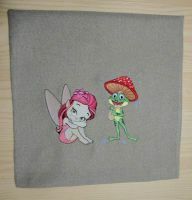 It is a great pleasure to create handmade gifts for darlings. Thanks to the seller! Adorable!! Thank you so much! This pony sew up beautifully! 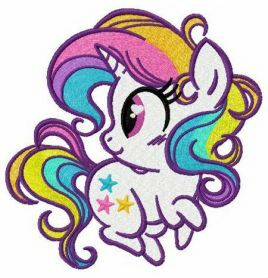 Super great pony design. Stitched out beautiful and colorful. Easy to work with. Hope to buy more designs from this shop. It's amazing!